Windhoek is Namibia's capital city and rich with German colonial architecture. Windhoek is the capital city of Namibia. It pulsates with life, opportunity, and a sparkle of adventure. Windhoek is placed almost exactly in the middle of Namibia in a basin between the Khomas Highlands, Auas and Eros Mountains. A sense of history is still installed in the characteristics of the German-style buildings - a vestige of Namibia's early colonial times. The old fort (Alte Feste - once the symbol of the German colonialism, now the National Museum which signifies the freedom struggle and Namibian independence) and the parliament buildings (Christuskirche and Tintenpalast) are early buildings that are of particular interest to many tourists looking to enjoy the history of the city. Windhoek is home to the only international airport in Namibia, making this the perfect place to start your adventures. Also being home to Namibia's brewing industry makes it the perfect place to sit back, relax, and enjoy an ice cold beer before embarking on your Namibian safari adventure. From the 1800’s, continuing into the early 1900’s, Namibia was colonized by Germany. Even though Namibia is now completely independent, the area still bears remnants of the time that the Germans had control over this enormous piece of Africa. German is one of the main languages spoken in Namibia, and when in Windhoek you can visit many museums, castles and monuments from the colonial era. Windhoek is actually situated in the Kalahari Desert, and you can experience much of the glory of the desert by taking a day trip. In this way, you can have the best of both worlds – stay in or around the city, and experience the magnificent Kalahari with its beautiful landscapes, interesting wildlife and the indigenous Bushmen. Never mind how particular your tastes, you will find accommodation, restaurants and activities in Windhoek that suit your needs perfectly. There are bed and breakfasts, hotels, lodges, guest houses and camping sites. Paired with safaris, sand boarding, dune-skiing, museums, oceanic activities, dune explorations and many more, a trip to Windhoek is guaranteed to impress. Guests heading for Windhoek will be met at OR Tambo International Airport, where they will be assisted in transferring to a short flight over the Namibia border to the Hosea Kutako International Airport in Windhoek. If you are visiting a park or reserve in the area, a light aircraft flight might be necessary. If you aren’t comfortable with small planes, overland transfers can easily be arranged. Windhoek is approximately 1400km from Johannesburg, and the drive through the dry northwestern reaches of Southern Africa, although extremely beautiful, takes almost 15 hours. 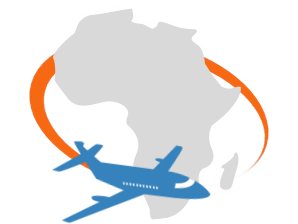 African Sky guests will either fly directly to Windhoek or drive from another destination. Upon arrival in Windhoek, guests will be transported to their lodging in Windhoek via a private air-conditioned vehicle. Windhoek’s climate varies between hot semi-arid to cold semi-arid. The average high temperature in the warmest month is 23 degrees Celsius, which shows you that this area does not become unbearably hot. Due to how close Windhoek is to the Kalahari Desert, it gets more sunshine than cold weather. The wetter season is during the summer months. 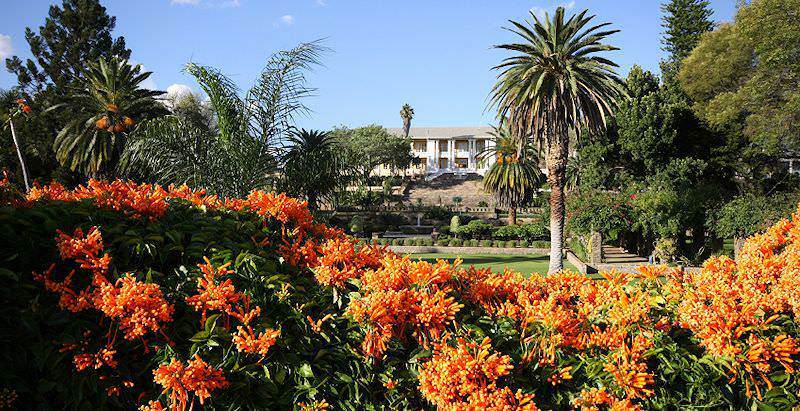 You can visit Windhoek all year round, as there are a variety of activities to engage in. Certain activities such as museum visits can be enjoyed come rain or shine. Game viewing is better during the dry, winter months when animals need to assemble at watering holes and riverbeds due to the lack of water in the rest of the area. The city of Windhoek has two indigenous names: '/Ai//gams', which means 'hot springs' in Nama, and 'Otjomuise', which means ‘place of steam’ in Othjiherero. The city was so called because of the hot springs, which are close to the city center. The name 'Windhoek' was first used in 1844, but there has been conflict over the reasons for this name. Captain Jonker Afrikaner was the first one to settle in this area in 1840. He first named the area “Windhoek”. He and a group of missionaries built a stone church in the settlement. The whole settlement, which was quite prosperous, was destroyed in the wars between the Namas and the Hereros. In 1884, a German Protectorate was declared over Namibia, then still known as "South-West Africa”. The Schutztruppe, protective corps, came from Germany to maintain order. They were stationed in Windhoek to separate and control the powers of the Namas and the Hereros. One of the reasons this spot was chosen was due to the hot springs the city was originally named after. It provided water for the cultivation of produce such as grain. The German colonial era came to an end during World War I, but remnants of this time live on in Windhoek. In 1990, Namibia received independence, and Windhoek was named the capital city of the country. There are several game reserves where you will have the opportunity to view game in and around Windhoek. Animals you can expect to see outside of Windhoek, in the wilderness which surrounds it, are gemsbok, plains zebra, Kirk’s dik-dik (small antelope native to Africa), springbok, rhinos, lions, wildebeest, Cape buffalo, kudus, elephants, ground pangolin and 35 000 species of insects. It is not unusual to see animals roam freely, as animals are not restricted to game reserves – a phenomenon that becomes clear once you leave the city. 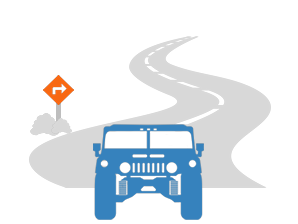 There are even road signs devoted to warning people in which areas they need to be extra careful of running into a wild animal on the highway. The wildlife around Windhoek is similar to that of the wildlife in the Kalahari Desert. The animals have become accustomed to surviving with minimal water, due to the arid environment, though the circumstances in the Windhoek area are not nearly as harsh as those in the desert itself. There are several programs in the surrounding area of Windhoek that prioritize the conservation of the wildlife in the area. One of the most prominent wildlife conservation projects in Windhoek is the Na-an ku sê foundation. They rehabilitate and care for various animals including cheetahs, wild dogs and elephants. Conservation programs like this are one of the main attractions where people can enjoy wildlife in the Windhoek area. The vegetation in Windhoek supports a wide diversity of species. Plants that are prevalent in the area include the Kalahari Christmas tree (a sickle bush), various succulents and many types of aloe. The landscape supports tree and shrub savanna of a high diversity as well. A large part of the area supports short bush land with mesic grassland species. The undulating lands are dominated by Acacia mellifera. Dwarf shrub species make out a conspicuous part of the grass species found around Windhoek. Some valuable species like rachiaria nigropedata and Digitaria eriantha have started to decrease due to overgrazing and farming mismanagement. Plant life in the area is classified into trees, stem succulents, leaf succulents, dwarf succulents, shrubs, dwarf shrubs, bulbs, herbs, multi-seasonals and grasses. Plants also play an important part in Namibian folklore. The Omumborombonga tree that grows in northern Windhoek is seen as the ancestral tree. According to the Herero storytellers in Namibia, the first humans were born out of the first Omumborombonga tree. Wayfarers would address this tree that life was born from as ‘father,’ and perform a prayer-like ritual at the tree, as they believed this ritual would grant them a prosperous journey. Game viewing will probably be your main activity when you visit Windhoek. There are many game reserves in the area, and you should take the opportunity to pursue Namibian wildlife. You can even travel to the Kalahari Desert, which is less than two hours from Windhoek by car, and you will of course be transported in an air-conditioned vehicle. In Namibia, many animals roam free, outside of game reserves, so keep your eyes open when you drive around – you might be lucky enough to spot some wildlife along the highway. The best time of the year to come view game would be the dry winter months, from June to August. Windhoek is also a prime spot for bird watching. There are numerous parks, reserves and dams where you will see many birds and rare species. Bird watching is also easy to combine with game viewing. When you are already on the road, you might as well look out for birds as well as game. You should definitely use your time in Namibia to find out more about the indigenous people of the area - in this case, the San. The San - or Bushman, as they are also called - have lived here for more than twenty thousand years, and still live simply. In Windhoek, you can partake in activities that a city has to offer, like eating out in trendy restaurants and visiting shopping malls. Windhoek might be the gateway to Namibia's top safari destinations, but there are nevertheless memorable experiences to be savored in and around the capital city itself. Cultural and nature-oriented activities abound. Namibia is famous for its wildlife. Therefore, if you visit Windhoek, you cannot leave without spotting a few animals. When you drive out of the city, you might even be lucky enough to see some of the game that roams free. Luckily, there are numerous game reserves where seeing game is guaranteed. If you look a bit closer, you can find an amazing array of small creatures that will amaze you. This includes the purple-glossed snake, eastern tiger snake, orange-colored scorpions, and an assortment of beautiful butterflies. The San have been living in the area for thousands of years. They are hunter-gatherers and the progression of civilization means nothing to them. The opportunity to witness first-hand how these people still manage to survive on the food that they hunt and the berries that they pick from trees is truly humbling. How long should I visit Windhoek? You will probably visit Windhoek for one or two nights before moving on to the Kalahari or the Namib Desert. How populous is the city? About 325 000 people reside in Windhoek. Do I need to take precautions against malaria when visiting Windhoek? No, there are no malaria-carrying mosquitoes in this area. The currency is Namibian Dollars – it is equal to the Rand of South Africa. Which languages are spoken in Windhoek? English is the official language, but the majority of residents of the city speak Afrikaans. Is there public transport in the city? You will not need public transport, as African Sky will transport you to whichever destinations, in or surrounding Windhoek, that you would like to visit. What is the national animal of Namibia? The Oryx antelope (gemsbok), which you will see when you go game viewing. South Africa is an exceptional African travel destination steeped in diversity. Botswana's top travel destination is the revered Okavango Delta. Travel to Namibia for awe-inspiring star-gazing and premium game viewing. Zambia's far-flung safari areas include parks like South Luangwa and Kafue. Zimbabwe travel typically includes a visit to the world-renowned Victoria Falls. Mozambique's beaches and archipelagos will take your breath away. Etosha National Park's arid expanses play host to a surprising amount of wildlife, including four of Africa's Big Five. Sossusvlei's otherworldly landscapes make it a paradise for keen photographers, as well as adventurous spirits. Namibia's capital city of Windhoek is rich with historical intrigue and offers an inviting gateway to Namibia's top travel destinations. The charming town of Swakopmund is wedged between the sweltering sands of the Namib and the icy grasp of the Atlantic Ocean.